How would you rate your experience with Visiting Angels ? Visiting Angels was founded by Jeffrey Johnson & Lawrence Meigs in 1998 when this pair of businessmen realized that baby boomers would be in need of assistance and many wish to remain at home. Johnson had also been a social worker who visited nursing homes. He saw that many seniors forced into nursing homes only needed a bit of assistance in order to stay at home. The company offers home companion and in-home care services so seniors can stay in their homes. The company operates as a franchise and assists seniors with chores, including light housekeeping, cooking, errands, grooming and dressing assistance and sometimes just some simple companionship. Entrepreneur listed Visting Angels as #74 on their list of the Top 500 Franchises in America. In an interview in 2016, co-founder Larry Meigs stated that franchisors can make more than $1 million in revenue since the business has a profit margin of 30 to 40 %. The company has franchises in nearly every state, with headquarters located in Bryn Mawr, Pennsylvania. Question 1: What is the phone number for Visiting Angels? 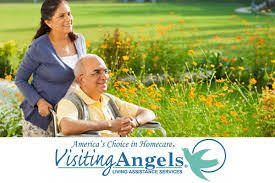 Answer 1: The phone number for Visiting Angels is (610) 924-0630. Question 2: Who is the CEO of Visiting Angels? Answer 2: The CEO of Visiting Angels is Lawrence Meigs. Question 3: Who founded Visiting Angels? 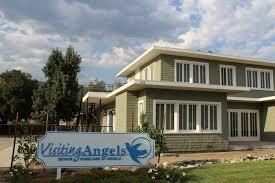 Answer 3: Visiting Angels was founded by Jeffrey Johnson & Lawrence Meigs in 1998. Want to make sure Visiting Angels sees your comment or complaint?